In the recent Burwell v. Hobby Lobby Stores, Inc. (Hobby Lobby) decision, a majority of the Supreme Court ruled that the Department of Health and Human Services (HHS)’s requirement that qualifying employer health plans under the the Patient Protection and Affordable Care Act of 2010 (ACA) include coverage for all FDA approve contraceptives cannot be applied to at least certain corporations stating religious objections. The Court found that the regulations violated the Religious Freedom Restoration Act of 1993 (RFRA)’s prohibition on burdening exercise of religion. The majority made every effort to make that decision narrow as possible – but it still has concerning implications for the future, and Justice Ginsburg’s ringing dissent raises very important questions. When the Skeptical Raptor asked me to write about this decision, we intended that I would discuss Hobby Lobby and religious exemptions for vaccines. 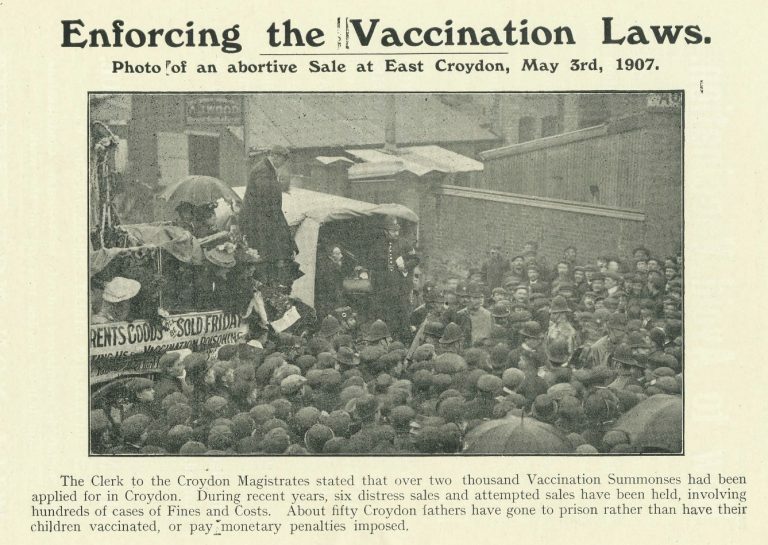 But this decision is too important to stop there, so while I also address the vaccination aspect, my discussion is about the decision generally. From my point of view – as a secular individual who believes reproductive freedom is crucial to women’s equality – the decision has some positives, but also much to be concerned about (I hope the analysis will also be useful to those whose views are different from mine, however). It’s not, however, a decision that turns the United States into a theocracy, as some of the more impassioned posts I’ve seen on Facebook suggest. In some ways, actually, just the opposite. The United States Supreme Court’s views on how the First Amendment’s protection of religious freedom interacts with general laws had changed over time. In early cases, as summarized in Hobby Lobby, the Court used a balancing test, limiting states’ ability to apply laws that were neutral on their face in ways that interfered with religious freedom (e.g. Sherbert v. Verner, 374 U. S. 398 (1963)). In the 1990 case of Employment Div., Dept. of Human Resources of Ore. v. Smith, 494 U. S. 872, 877 (1990) (Smith) the Supreme Court changed its approach, instead holding that neutral and generally applicable laws can be applied even if applying them interferes with religious practices (in that case, the Court upheld denial of unemployment benefits to two Native American employees fined for using Peyote, even though everyone agreed that the use was part of a religious ritual). Apparently dissatisfied with the decision, Congress passed the Religious Freedom Restoration Act of 1993 (RFRA), reinstating the requirement that religious practices be accommodated even under apparently neutral laws unless the restriction on them is the least restrictive means to further a compelling government interest (42 U. S. C. §2000bb-1). Initially, this was supposed to apply to both the federal government and the states; but in City of Boerne v. Flores, 521 U. S. 507 (1997), the Supreme Court struck down RFRA’s application to the states: it could now only limit the federal government. Congress later passed the Religious Land Use and Institutionalized Persons Act of 2000 (RLUIPA), 114 Stat. 803, 42 U. S. C. §2000cc, which reinstated some of RFRA’s application to the states in specific contexts, including in the context of allowing religious freedom to prisoners – and that part was upheld by the Supreme Court (Cutter v. Wilkinson, 544 U.S. 709, 715-716 (2005)). The Hobby Lobby majority also interpreted RLUIPA to redefine religious freedom in RFRA in ways that disconnect RFRA from our first amendment jurisprudence. The other part of this puzzle is the ACA. For our purposes, the important part is that the ACA continues the United States tradition of providing health insurance mostly through employer-based plans. The ACA requires employers with more than 50 employees to offer a plan that will provide minimum essential coverage (see 26 U. S. C. §5000A(f)(2); §§4980H(a), (c)(2)). As summarized by Justice Ruth Bader Ginsburg’s powerful dissent, an amendment to the ACA required the government to protect women’s access to preventive services. The Health Resources and Services Administration (HRSA), part of HHS, empowered to add content to the ACA’s requirements via regulations, asked the Institute of Medicine for recommendations, and a panel of experts recommended, among other things, that all FDA approved contraceptives be covered. HRSA wrote guidelines that adopted that recommendations. This meant that for their offered health plans to meet the “minimum essential coverage”, employers had to provide coverage of all those contraceptives. If they didn’t, they would be fined, in amounts that, the court explains, can be very, very high (up to $1.3 million a day for Hobby Lobby, for example – p. 32 of the decision). The employer did have an option not to offer health insurance, in which case employees could buy health insurance through the government exchange, but if employees meet certain conditions under those exchanges, the employer may have to pay $2000 per employee per year. Three closely held corporations – Hobby Lobby, Conestoga, and Mardel – claimed that four of the contraceptives they were required to cover were, in fact, abortion-inducing. The corporations’ owners’ religion determined that life began at conception, and funding those contraceptives would violate those beliefs. They sued against application of the requirements to them. Nobody contests the companies owners’ sincerity in this case: the Court assumed, and we will too, that their religious objections are sincere. As explained, the majority of the Court found for the corporations. It found that the mandate is a substantial burden on the companies, that corporations can have religious freedoms, and while it assumed that the government has a compelling interest, the mandate was not the least restrictive way to protect that interest. Hobby Lobby’s major contribution beyond its immediate context is adding clarity to the Supreme Court’s First Amendment jurisprudence. Most importantly, the Court made it clear that its decision in Smith holds: if a law is neutral on its face and generally applicable, it can be applied across the board. It’s not a violation of the First Amendment to enforce it even if it interferes with a religious practice. Those who want to claim a right to religious exemption need to look outside the First Amendment – in Hobby Lobby, to RFRA. This was repeated, even more strongly, in Justice Ginsburg dissent (see p. 6). Since under the Court’s jurisprudence RFRA does not apply to the states, this means states are not required to offer a religious exemption from a generally applicable law – and they do not need to show a compelling interest to avoid offering a religious exemption. In the vaccine context, this reaffirms the consistent, repeated interpretation of the constitution by both our state and federal courts: states are not required, under the first amendment, to offer an exemption from vaccination requirements – not from school immunization requirements, not from equality in employment requirements. The decision, however, also reaffirms the other part of this. If a state does choose to offer a religious accommodation, it cannot play religious police: it cannot judge the validity of the religious beliefs or discriminate among them (see pp. 36-37). Hobby Lobby limits what the federal government can do under RFRA; and even there – Hobby Lobby addressed an administrative agency’s actions. If Congress has chosen to enact the contraceptive mandate explicitly into the ACA, there may have been a question of interpretation – how does the ACA relate to RFRA – but since RFRA is not a constitutional document, Congress can deviate from it via legislation. In one sense, all Hobby Lobby says is that federal agencies are bound by the Court’s interpretation of RFRA unless Congress says otherwise (editor’s emphasis). Similarly, however unwillingly, the majority’s decision acknowledged that “Under our cases, women (and men) have a constitutional right to obtain contraceptives” (see p. 39). In that sense, the majority – and the dissent, even more strongly – reaffirmed the protection our constitution affords reproductive choices. Finally, the majority made an effort to keep its decision narrow, to avoid opening a door to a large number of corporations requesting exemptions from general laws on religious grounds. The majority limited its decision to close corporations, implying its focus is on situations where the owners’ beliefs can be identified with the corporations. 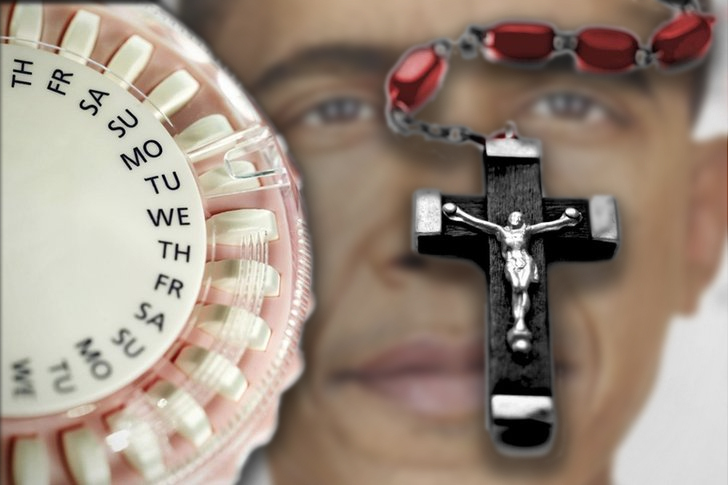 It limited its discussion to the contraceptives mandate, partly basing that on the fact that the government already offers exemptions from that mandate, though not others. And it highlighted that in its view the decision does not harm women because there are ways for HHS to provide women with access to the contraceptives at no additional cost. One way is for the government to pick up the tab for the contraceptives. Alternatively, the government already offered an exception from the mandate to non-profits, under which insurers would have to cover the contraceptives. The logic of the government was that this does not impose an additional burden on insurers, since the additional costs from providing the contraceptives are less or equal to the cost savings these preventive generate. The majority suggested this option could be offered to for-profit companies, too. As Justice Ginsburg pointed out, quite a few of these claims are, nonetheless, problematic. As several observers pointed out, the biggest problem with Hobby Lobby is that it allows corporations to demand religious exemptions from general applicable laws. In fact, as Justice Ginsburg highlights, it allows companies to claim such an exemption even when the exemption can potentially burden a third party, in this case, employees seeking contraceptives. This result was not obvious or inevitable, and Justice Ginsburg highlights several counter arguments, based in part of the context of RFRA and Congress’ intent in passing it, to that interpretation. Viewing corporations as deserving of religious accommodation under RFRA raises quite a few thorny, tricky issues. A big part of legal analysis is drawing distinctions between situations; but as pointed by Lon Fuller in a classic essay, these distinctions have to rely on reasoned arguments. There has to be a guiding principle that allows courts to draw a logical line. While the slippery slope argument can be misused, it is a fair critique to point out that a decision does not appropriately draw these principled lines, and opens substantial scope for abuse. That’s the case here, at least arguably, in spite of the Court’s efforts to narrowly tailor its decision. There are several potential points of danger here. First, although the Court spoke of a closely held corporation, Justice Ginsburg was right to point out that the court did not offer a principled way to distinguish between small and large, private and publicly held corporations. This means that a publicly held corporation can certainly be tempted to try for a Hobby Lobby exemption from a general mandate, leading to potential undermining of general laws – at least until the Supreme Court speaks to the issue again. Further, again as Justice Ginsburg highlights, finding that corporations have religious beliefs ignores the multi-person nature of the corporation, and the fact that under our employment laws a corporation cannot discriminate, in hiring, promoting etc’, based on religion. So a corporation can be expected to include people from multiple religions. Is it appropriate to allow the owners to impose their religion beliefs on the other members of the corporation? They chose a form of bonding that imposes limits on religious practices, including hiring. Again, as Justice Ginsburg asked, why should they be absolved from general laws that come with that form? And especially when others have to pay? And where is the stopping point to the “let the government pay” alternative? Suppose an employer’s sincerely held religious belief is offended by health coverage of vaccines, or paying the minimum wage, see Tony and Susan Alamo Foundation v. Secretary of Labor, 471 U. S. 290, 303 (1985), or according women equal pay for substantially similar work (Dole v. Shenandoah Baptist Church, 899 F. 2d 1389, 1392 (CA4 1990, p. 29)? The argument against the second option is less strong, but Justice Ginsburg, again correctly, points out that we have, traditionally, treated non-profits – especially religious non-profits, created for religious purposes – different than corporations. The majority does not offer a strong argument against that. Finally, it’s hard to read this as anything but gendered. Our monotheistic religions are all the products of times where women equality was not at the forefront (though several of the religions’ provisions were very advanced, in terms of protecting women’s’ rights, compared to the historical approach to the topic at the time of their creation). Contraceptive freedoms have substantial impact on women’s ability to work and potentially women’s health, and by doing their best to narrow the decision to this topic, the Supreme Court’s decision highlight the signaling out of these specific offered treatments. In a sense, it’s hard not to see this decision as privileging freedom of religion over women’s equality in the work place. For me, at least, that leaves a bitter taste. Does this decision mean women’s reproductive rights will be harmed? Well, that depends. The HHS can prevent this by adopting the solution the court proposed – applying the exception used for non-profits to for-profits with religious objections to the contraceptive mandates. Of course, as pointed out by Justice Ginsburg, both the Supreme Court and the corporations opposing the mandate were carefully noncommittal on whether they would accept the nonprofit exception as a sufficient accommodation. Alternatively, and less likely, Congress can add the contraceptive mandate to the ACA, explicitly exempting it from RFRA – but reopening the ACA for amendments, especially on a topic as sensitive as this, is a political nightmare the administration would be justified in wanting to avoid. What does the decision mean for vaccines, since that’s the aspect that I was initially going to focus on? Well, first, as I mentioned, it reinforces our previous enabling jurisprudence: states are not required to provide a religious exemptions – neither to students nor to workers – under the First Amendment, though they may be required under their own state’s RFRAs–some states have passed those type of laws. Even then, a state may not be required to provide an exemption: preventing infectious disease was mentioned by the Hobby Lobby majority as an example of a compelling interest, and it’s far from clear there is a good alternative to vaccination requirements for doing so. That said, someone might try to use Hobby Lobby to make such an argument – though the Supreme Court’s interpretation of the federal RFRA does not determine a state’s interpretation of its own RFRA, it could be influential. Source: Historical Medical Library of The College of Physicians of Philadelphia. More likely, we may see an employer corporation try to argue that its plan need not cover vaccination because of religious objection. I would not expect such a suit to successful: the Court implied that vaccination is a more clearly compelling interest (highlighting the short shrift it gives to women’s access to contraceptives), there are not a lot of religions with strong opposition to vaccination, and as the Court pointed out, unlike contraceptives most plans already covered vaccines, out of the insurer’s sheer self-interest: it’s much cheaper to pay for the vaccine than for the disease. But an attempt could be made. In a short decision in Wheaton College v. Burwell, 573 U. S. (2014), the Supreme Court, over a stinging dissent, allowed a college not to hand in the request for a non-profit’s exemption for religious reasons. The college claimed that the accommodation for non-profits burdens its freedom of religion because it triggers the payment for contraceptives by the government. The majority decision, as the dissent points out, casts doubt on whether the nonprofit exception would stand under RFRA. Since the Court in Hobby Lobby repeatedly referred to that exception as a viable alternative to enforcing the mandate on non-profits (see e.g. p. 3 and pp. 43-44 of the majority opinion), and hence a justification for finding that the contraceptive mandate violated RFRA, that decision is problematic. I agree with the dissent that it reads like a retreat from the court’s position in Hobby Lobby (Wheaton College, p. 3) and is in essence a “bait-and-switch”.